The earnings season is fully underway, and this week will feature some of the biggest names in the market. Given the recent market selloff, investors are really hoping for a strong earnings season to bring strength back into the market as we move deeper into the fourth quarter. So far, the earnings season has been OK, but we are still in the first phase of the cycle and it will take a few weeks before we can get a true feel for how the season will play out. The market is currently facing pressure from rising interest rates, a trade war, and the potential impact of what has been happening with Saudi Arabia and the murder of journalist Jamal Khashoggi. Overall economic conditions remain favorable, but the above-mentioned risks, and mid-term elections just over 2 weeks the market may continue struggling to find its footing if we do not see a string of strong quarterly reports which puts even more importance on the current cycle. This week’s reports will be feature some of the biggest names in the market and will be heavy in technology stocks. Here are five big name companies that will report earnings this week that could ripple across the overall market. Tech giant Amazon.com (AMZN) will shine light on the tech sector this week when it reports third-quarter numbers after the market close Thursday. Analysts expect to see Amazon post earnings of $3.29 per share. Amazon is an important stock because it has become so diversified. Its e-commerce business is a good indicator of consumer confidence and spending. The cloud has become increasingly important to both individuals and corporations, and being a leader in the sector Amazon’s cloud-based results are a good indicator of the overall economy. Amazon is still rapidly growing and diversifying which has kept it a darling on Wall Street and helped drive the overall tech sector in recent years. A strong Amazon report will bring some strength back into the tech sector, but any signs of weakness could have a negative ripple effect across the broader market. 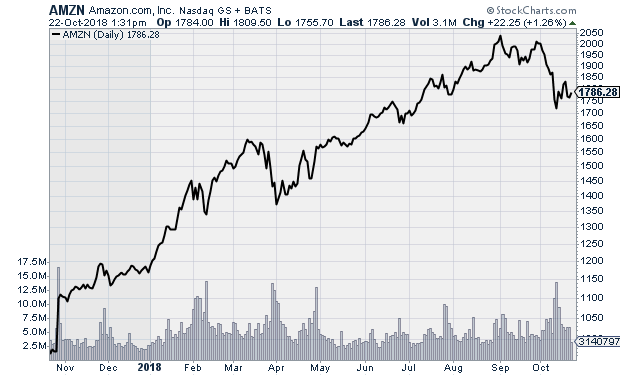 AMZN trades at $1,798.77 with an average price target of $2,186.50. Microsoft (MSFT) is scheduled to report its fiscal first-quarter numbers on October 24. The company will report after the market close, with the consensus calling for earnings of $0.96 for the quarter, up from $0.84 during the same period last year. Microsoft has done a fantastic job climbing to the top of the cloud services sector which is currently the fastest growing sector in tech. 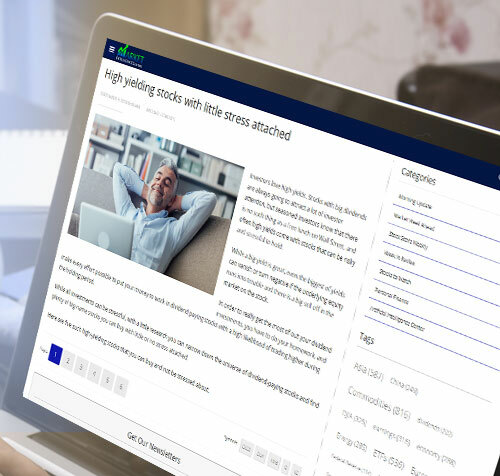 Earnings have been rising, and are expected to rise by 12.5% per annum over the next five years as cloud computing continues to drive bottom line gains. 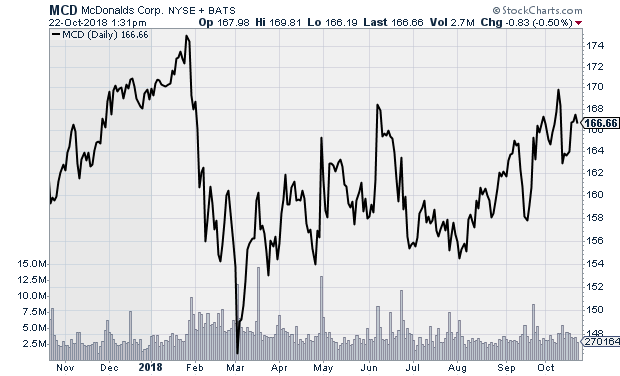 The company has a good earnings track record ad has topped analyst estimates each of the last nine quarters. The street expects another beat this quarter, with a whisper number of $1.00 ahead of this week’s report. 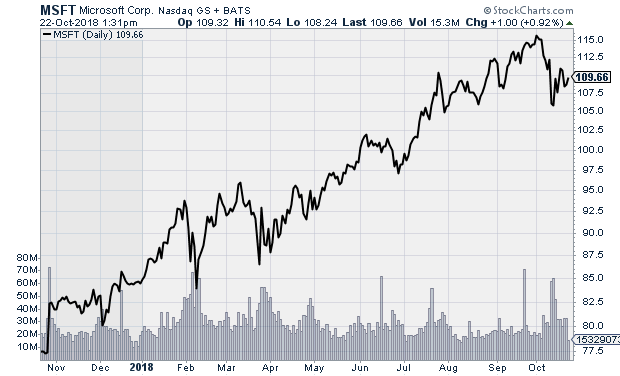 MSFT is trading at $109.67 with an average price target of $121.91. Alphabet (GOOGL) will report its third-quarter numbers this week. The company behind search engine leader Google is forecast to post earnings of $10.54 for the quarter, up from $9.57 during the same period last year. The stock is prone to making big moves following its quarterly reports and its post-earnings move will definitely have an impact on the overall market. Online search is a primary focus of all advertisers, so Google’s results are a good indicator of business spending. Google has posted positive earnings surprises the last two quarters and the market expects that trend to continue with a whisper number of $10.68 for the quarter. 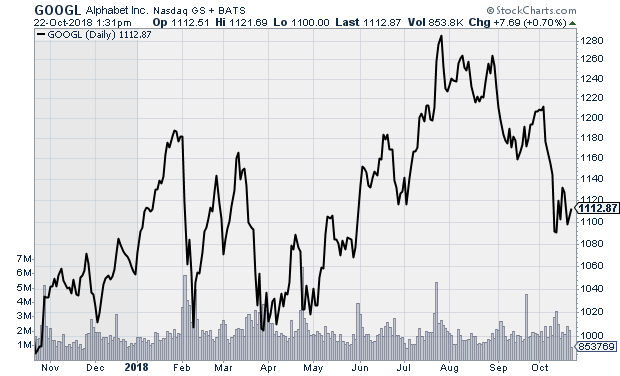 GOOGL currently trades at $1,115.87 with an average price target of $1,364.37. 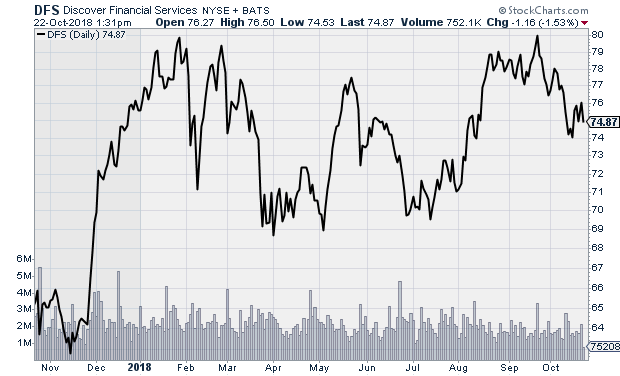 Credit card operator Discover Financial (DFS) will report its third-quarter results October 25 after the market close. The credit card sector has been strong over the last year, as strength in the overall economy and low employment has consumer confidence high. With the busy holiday shopping season here, the market will pay special attention to payment processors and retailers this earnings season for clues as to what to expect this holiday season. Analysts expect Discover to post earnings of $2.05 for the quarter, up from $1.59 during the same period last year. DFS has sold off over the last couple weeks with the overall market after trading near its all-time high. A strong quarterly report would put the stock in great position to erase its recent losses as the broader market finds its footing. DFS trades at $74.76 with an average price target of $86.64. Fast food giant McDonald’s (MCD) will report its third-quarter results October 23. The market will pay close attention to the company’s U.S. sales number. McDonald’s has done a good job growing its U.S. sales despite a consumer shift to a more health-conscience diet. McDonald’s has revamped its menu and added an all-day breakfast menu to attract customers, and the changes have worked. Analysts expect earnings of $1.98 per share for the most recent quarter, up from $1.76 during the same period last year. McDonald’s has topped estimates on the top and bottom line each of the last three quarters and the street expects another earnings beat this quarter with a whisper number of $2.04 for the quarter. The stock trades at $166.62 with an average price target of $183.89.